Several commercial recordings are available of my music. You can purchase these as physical CD's or as mp3 files at amazon.com, iTunes, or CD Baby. Perusal recordings can be found in the compositions section of this site. 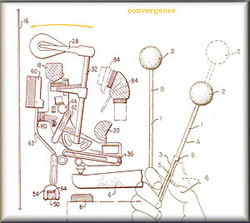 This is an amazing album recorded by two equally amazing musicians, Paul Vaillancourt (professor of percussion, Schwob School of Music) and Jeff Meyer (pianist and director of orchestras, Ithaca College). Every single piece on this album (included my 2008 work "Duo Toccata") was commissioned by them and the result is one of the most fascinating collections of new music I've heard in quite a while. Luminescence Records did a phenomenal job with everything down to the innovative packaging. I can't recommend this disc enough! 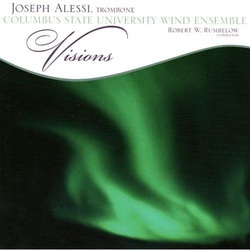 Probably the most flattered I've ever been in my life was when Robert Rumbelow asked me to write a piece for the world-renowned trombone soloist Joseph Alessi. The chance to work with a true childhood hero and someone who has quite literally redefined his instrument was absolutely mind-blowing! The final product is a work called "Bright Window" which you can hear on this album. This is a stellar recording in terms of sound quality, balance, and flawless performance from the soloist, conductor, and ensemble. 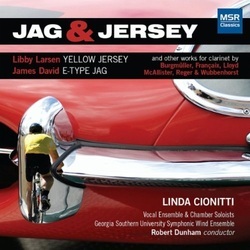 Linda Cionitti (professor of clarinet, Georgia Southern University) was one of those people that every young composer needs to get their foot in the door. Even though I was a lowly sophomore music major at the time, she chose to take a look at my piece "E-Type Jag" and has been playing it ever since! This album features a whole host of fun music for clarinet with various other groups of instruments, and it's received some very well-deserved praise. You can read more at the "purchase" link below that points to the MSR Classics website. Here's a very cool album that features one of my personal favorite chamber pieces that I've ever written called "Distrocto" for violin, clarinet and piano. The piece was commissioned and performed brilliantly by Kelly Johnson and some of her colleagues with the Arkansas Symphony Orchestra and University of Central Arkansas. This is another exciting collection of contemporary works, many of which were commissioned expressly for the album. Each piece is related to the theme of childhood, so you are in for a real treat if you choose to purchase this. "Sinfonietta no. 1 - In the Blue of an Electric Dawn" was the first piece of mine that was recorded way back in 2005. 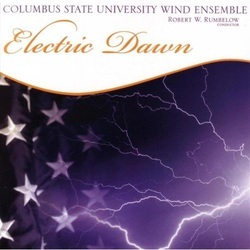 It was an extremely ambitious piece for me at the time, and the Columbus State University Wind Ensemble put in a tremendous amount of effort to make it work. The result is an excellent and powerful recording that has led to several subsequent performances of the work. The rest of the album features some really nice music, including the striking but rarely "American Overture" by Prokofiev.